This should be an exciting year in the ACC, thanks in no small part to the demise of the sixteen team version of the Big East (which, unfortunately, the ACC had a lot to do with). The conference welcomes Notre Dame, Pittsburgh, and Syracuse, and will see even more turnover a year from now when Louisville arrives and Maryland departs for the Big 10. Still, the conference may be a year away from setting its own record for NCAA Tournamament berths, as expectations have to be tempered by the mass departures from Miami, NC State, and Pittsburgh. Freshman point guard London Perrantes is suddenly raining threes and providing Tyler Ennis-level offensive efficiency for the Cavaliers. Departures: Point guard Jontel Evans (4.8 apg.) graduated. Paul Jesperson, a starter a year ago that contributed little statistically, transferred to Northern Iowa. Taylor Barnette, a backup point guard, transferred to Belmont. Outlook: Three new options will be available to replace Evans at point guard. Freshman London Perrantes, a top 100 recruit nationally, will be one of the favorites; he is a skilled true point guard that will immediately be more dangerous as a perimeter shooter than Evans. 6-5 redshirt sophomore Malcolm Brogdon, a top 80 recruit two years ago that sat out last season with a foot injury, showed promise as a freshman while playing primarily on the wing. If Brogdon, who is not a true point guard or natural distributor, wins the point guard position, the offense could stagnate as it did a year ago. Among the most interesting freshmen to watch could be Devon Hall, a 6-5, 212 pound point guard whose passing has drawn comparisons to Kendall Marshall. Virginia was in big trouble when Evans was injured early last season; that will not be the case this year, but how well the offense flows will depend on the freshmen. Joe Harris (16.3 ppg., 42.5% 3pt.) became a star as a junior, earning first team All ACC honors while at times being the only functioning part of Virginia's offense. He was left to make something happen at the end of the shot clock many times, and he usually did not disappoint. As great as Harris was, Justin Anderson (7.6 ppg.) was the player that most looked like he might be a future pro. He's strong, athletic, and can do everything at both ends of the floor. He won't be the go to scorer, but he is fun to watch and will make his share of big plays. Akil Mitchell (13.1 ppg., 8.9 rpg.) made significant progress as a scorer as a junior; more importantly, he was outstanding rebounding the basketball, and he will have a very real chance to lead the ACC in that category as a senior. 6-11 center Mike Tobey's freshman season was largely derailed by illness, but when he did play he proved to be a very capable low post and mid range scorer. Added bulk should help him become more effective on the boards as well. While he was out, UVA learned that scoring could be easier with Evan Nolte serving as a sharpshooting stretch four. The Cavaliers welcome another potential stretch four in transfer Anthony Gill, a former top 100 recruit who played well starting as a freshman at South Carolina (7.6 ppg., 4.7 rpg., 39.3% 3pt.). Add athletic junior Darion Atkins, who was a new man at both ends of the floor to begin last season prior to suffering a leg injury, and Virginia has a deep and extremely athletic frontcourt. Tony Bennett doesn't recruit anyone that can't defend. Everyone that plays, with the exception of the 6-1 Perrantes, will be over 6-5, and everyone, including Perrantes, is an athletic and aggressive defender. UVA should improve offensively as well; Devon Hall's passing could make the offense flow much more smoothly, and they have talented slashers (most notably Anderson), plenty of shooting (Nolte and all of the perimeter players can hit the 3), low post scoring threats (Mitchell and Tobey), and a go to scorer in Joe Harris. As long as Virginia isn't hit with the rash of injuries they faced early on a year ago and Hall doesn't have too many growing pains, they will be able to compete with anyone and are capable of a deep run in March. November 21 Update: An apparent decision to redshirt Devon Hall leaves Malcolm Brogdon and a struggling London Perrantes at point guard, the team's best prospect (Justin Anderson) has inexplicably been removed from the starting lineup, and Evan Nolte has been virtually eliminated from the rotation. The potential offensive advances from a season ago seem unlikely to develop under the present circumstances, and the team could even digress in that area with the ball in the hands of a shoot first, natural wing in Brogdon. December 9 Update: An ugly loss to Green Bay is resulting in quickly falling expectations for the Cavaliers, who have taken a giant step in the wrong direction on offense. The team's assist to turnover ratio is down significantly from a year ago, and conference play hasn't even started yet. Also disturbing is the regression of Akil Mitchell, particularly on the boards, which may be the result of the team's efforts to feed Mike Tobey in the post and consequently decrease Mitchell's touches on the offensive end of the floor. 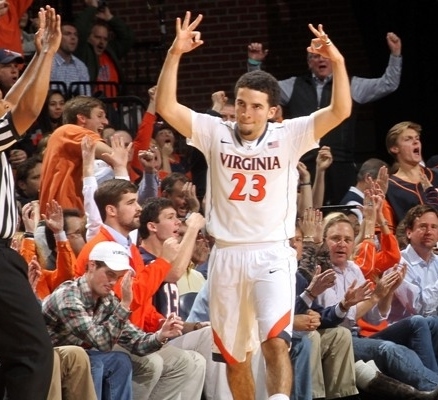 For a January 1 Update, check out my ACC Midseason Primer. January 22 Update:The Cavaliers have worked out the early season kinks in their offense by shortening their rotation and plugging London Perrantes into the starting lineup. While still not a scoring threat, Perrantes has averaged 5.3 assists to just .8 turnovers over his last four games, and the change has benefited both Joe Harris and Malcolm Brogdon greatly. Add a return to form for Akil Mitchell on the boards, and UVA should now be able to finish near the top of the ACC. February 20 Update: BC's huge upset of Syracuse leaves the Cavaliers with a very real chance at the conference regular season title. A home game against the Orange is their only remaining game versus the top of the ACC. February 27 Update: London Perrantes has caught fire at the end of his freshman year, hitting 8 of 11 three point attempts in his last three games, including all five attempts versus Miami and Notre Dame. He also has 16 assists to just one turnover over his last four contests. With the additional offensive threat he provides and the increasing efficiency of the offense, UVA is suddenly looking like a team that could make a long NCAA Tournament run. Departures: Do everything point guard Michael Carter-Williams (11.9 ppg., 4.9 rpg., 7.3 apg., 2.8 spg.) was an NBA lottery pick. Fellow starters Brandon Triche (13.6 ppg.) 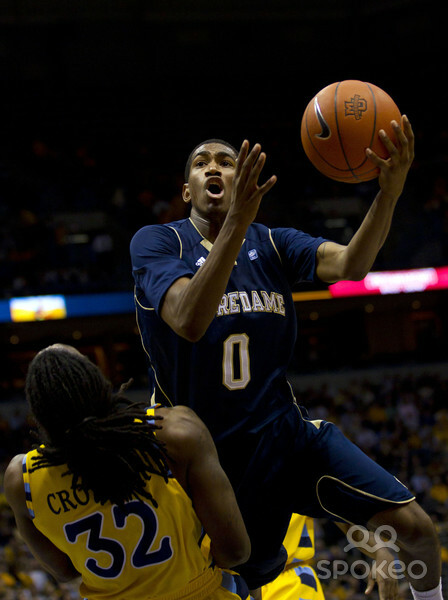 and James Southerland (13.3 ppg., 5.2 rpg.) graduated, and are likely to play professionally on some level as well. 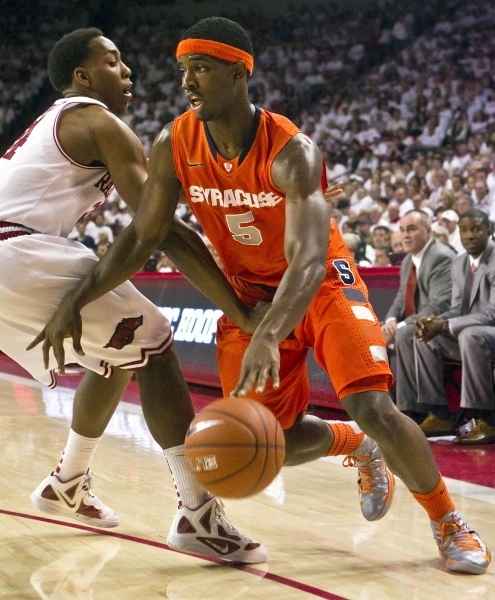 Outlook: The loss of the 6-6 Carter-Williams will hurt Syracuse on both ends of the floor. 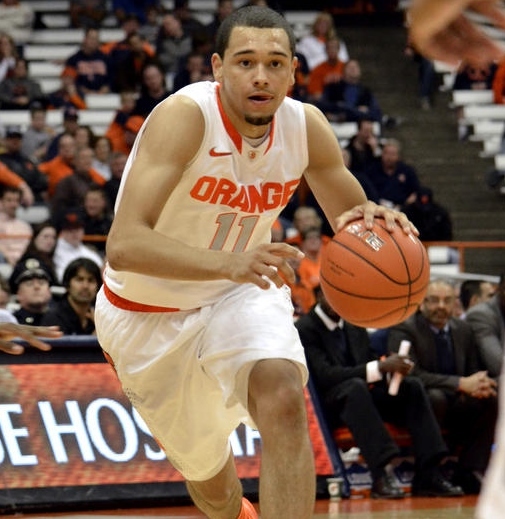 His replacement will almost have to be 6-2 freshman Tyler Ennis. Ennis, a top 20 recruit nationally, is a true point guard that may be able to run the offense efficiently, but he can't possibly be expected to help on the offensive boards as much as his predecessor. The zone defense will suffer as well, as Carter-Williams length tightened passing lanes (his 2.8 steals per game will be missed by a team that was 13th in the country in steals) and made shooting over the top substantially more difficult (the Orange were also 3rd in the country in field goal percentage defense). Shooting guard will also likely be filled by an inexperienced player; sophomore Trevor Cooney was a top 70 recruit coming out of high school and was considered one of the top shooters in his class, but received only token minutes as a redshirt freshman. C.J. Fair had a breakthrough junior season, earning second team All Big East honors after hitting an impressive 46.9% from three and leading the team with 14 points and 7 rebounds per game. James Southerland's own productivity certainly helped Fair get some of those open looks, but sophomore Jerami Grant showed every indication that he would be able to step in and be immediately productive. Syracuse also brings Michael Gbinije, a former Duke transfer and a top 20 recruit two years ago, back to the ACC. Gbinije had a reputation as an aggressive scorer coming out of high school, but received very few chances as a freshman for the Blue Devils. Add 6-7 freshman Tyler Robinson, a skilled top 40 recruit, and Jim Boeheim will have plenty of options to pair with Fair. Junior Rakeem Christmas and senior Baye Keita return to provide mobile shot blocking at center. 6-10, 285 pound sophomore DaJuan Coleman, a top 15 recruit a year ago, is the best scorer of the three; he was slowed by a knee injury as a freshman, and how he fits in is yet to be seen. While Syracuse did lose a lot to graduation and the NBA Draft, ACC fans will learn quickly that Jim Boeheim, like Mike Krzyzewski and Roy Williams, always has plenty of blue chip prospects around to reload quickly and stay in contention every year. Michael Carter-Williams was a special player that will be missed, but Syracuse should still find itself near the top of the ACC. November 21 Update: While the Orange have managed to win all of their games to this point, they have looked less than impressive doing so, particularly in the backcourt. Tyler Ennis has shot horribly from the floor, while Trevor Cooney fell back to earth quickly after scoring 27 on 7 for 8 three point shooting in the team's opening win. Michael Gbinje has shown the same basic lack of productivity that marked his brief stay at Duke. December 9 Update: After struggling early, Tyler Ennis has begun to live up to his high school press clippings. While he can disappear as a scorer, he has been consistently excellent taking care of and distributing the basketball as well as defending. The Orange still don't look nearly as impressive as they did a season ago, but they are one of the only two undefeated teams in the ACC. With Jerami Grant unable to shoot from the perimeter as Southerland did a season ago, scoring could become more of an issue for Syracuse as they get into conference play. January 22 Update: While DaJuan Coleman's injury will certainly hurt Syracuse's depth and may also hurt them on the boards, it may actually benefit the zone defense that has been puzzling the ACC all season. Rakeem Christmas, Baye Moussa Keita, and Jerami Grant are all more mobile players that the 6-9, 280 pound Coleman. Expect this to continue to be a very successful first season for the Orange in the ACC. February 20 Update: With easily the toughest part of their schedule ahead, Syracuse's huge upset loss to Boston College may very well cost them the ACC regular season title. Baye Moussa Keita's return from a knee sprain will be a key for the Orange to close out the conference season strong and hold on to a potential 1 seed; he attempted to return against BC, but apparently wasn't ready. With Jim Boeheim convinced that Tyler Roberson isn't yet ready to contribute, Keita is necessary for the Orange to maintain even a seven man rotation. Defenses are also clamping down on Trevor Cooney and Tyler Ennis more effectively; while the Orange continue to be effective on the offensive boards, scoring is becoming more and more of a concern for the Orange. Duke freshman Jabari Parker has a ridiculously large Wikipidia page. 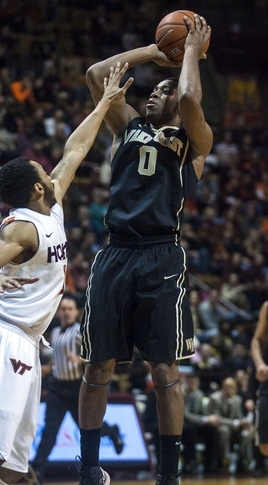 Duke transfer Rodney Hood - also very good. Departures: Duke loses its top 3 scorers from a year ago, including leading scorer Seth Curry (17.5 ppg. ), first round draft pick and dominant post player Mason Plumlee (17.1 ppg., 10.1 rpg. ), and second round pick and game changing stretch 4 Ryan Kelly (12.9 rpg., 5.3 rpg.). Redshirt sophomore Alex Murphy, a former top 40 recruit, decided to transfer. Outlook: The substantial improvement of point guard Quinn Cook (11.7 ppg., 5.3 apg., 39.3% 3pt.) from his freshman to his sophomore year was a key component of Duke's success a year ago. With Curry gone, his importance facilitating the offense only increases. Tyler Thornton is still around to provide a dependable, defensive minded yet offensively limited support off the bench; he can hit a clutch open 3 on occasion. Personnel additions should allow Rasheed Sulaiman (11.6 ppg., 37.1% 3pt.) to play his more natural shooting guard position. A potentially explosive scorer coming off of a head turning freshman year, he is currently considered a likely first round pick in next year's draft. Andre Dawkins, initially a top 10 recruit nationally, returns for his senior year after a year away from the program. While he hasn't been assertive enough to play up to expectations, he has always shot well from the perimeter. 6-8 transfer Rodney Hood has been one of the best players in Duke practices for over a year now. A former top 30 recruit, Hood averaged 10.5 points and 4.8 rebounds while shooting well (36.4% 3pt.) as a freshman at Alabama. He is expected to play major minutes right away. However, most of the excitement surrounding this Duke team is based on Jabari Parker, one of the top three recruits in the country according to ESPN and Scout.com. At 6-8, 241 pounds, he may see playing time at both forward positions, although he is a natural small forward that is an extremely skilled and athletic scorer. Duke adds two additional top 40 recruits nationally in 6-4 Matt Jones, a McDonald's All-American, and 6-6 Semi Ojeleye. Duke's frontcourt will be completely rebuilt, as Mason Plumlee and Ryan Kelly received almost all of the minutes a year ago. Amile Jefferson played well and showed a great deal of promise while Kelly was out with a foot injury (9.3 ppg., 6.3 rpg., and 1.3 bpg. in the first three games following the injury), but he clearly needed to add weight to his barely 200 pound 6-8 frame. With more than 20 pounds of added bulk, he should fill Plumlee's role on the boards and provide shot blocking. When the team needs a true post player, redshirt sophomore Marshall Plumlee (7-0, 260 lbs. ), another former McDonald's All-American, will be the only option. As much attention as Kentucky's freshman class and collection of McDonald's All-Americans has garnered, Duke has six of their own, a great deal more experience, and Mike Krzyzewski to put everything together. Another national title run is a very reasonable goal for the Blue Devils. November 25 Update: Through a 5-1 start, Jabari Parker has been dominant on both ends of the floor, putting up numbers reminiscent of Kevin Durant at Texas and Carmelo Anthony at Syracuse. Both he and Rodney Hood are posting incredibly high shooting percentages both inside and out. With Rasheed Sulaimon and Andre Dawkins providing additional outside shooting and Quinn Cook developing into a great distributor, the Blue Devils will quite simply outscore a lot of teams and will never be out of games. However, the bench is once again being kept short; the only post player Krzyzewski seems comfortable with off the bench is Josh Hairston, who remains statistically one of the least productive big men in the conference. 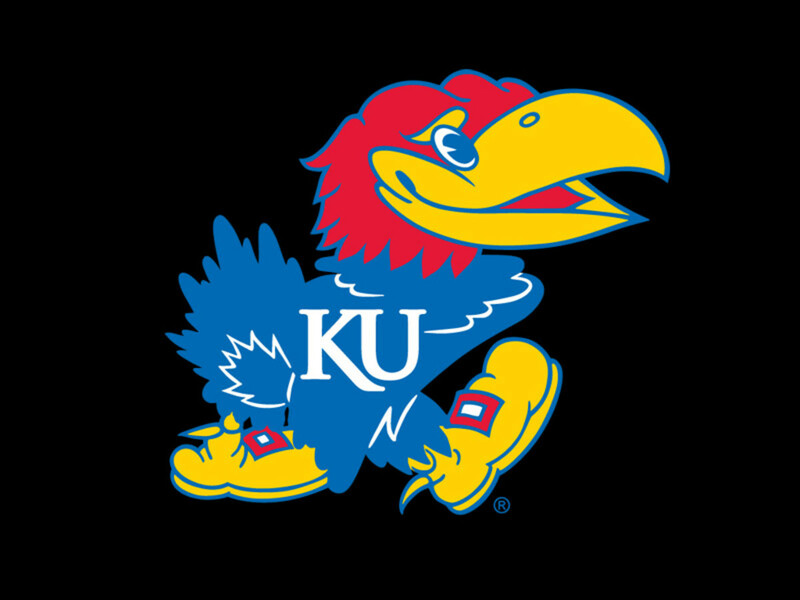 Combined with a slow start from Amile Jefferson rebounding the basketball, Duke is vulnerable on the boards, where they were destroyed 39 to 24 in their loss to Kansas. January 22 Update: Jabari Parker, who at one point was the leading candidate for national player of confidence, seemingly suffered through a brief loss of confidence after being benched at the end of a January 4 loss to Notre Dame because he shot poorly for the first time. A concerted effort to get him the ball versus NC State may have alleviated the problem. Otherwise, even with Amile Jefferson's prolific rebounding numbers, Duke is still getting beat up on the boards while playing undersized lineups. Josh Hairston, a post player that has trouble with even in-area rebounds at times, is slowly falling out of the rotation, but unless athletic seven footer Marshall Plumlee can gain minutes and confidence, Duke's NCAA Tournament run could be an abreviated one. Plumlee is currently a redshirt sophomore; if he can't find his way out of Mike Krzyzewski's doghouse by the end of the year, he may need to consider transferring to salvage his career. February 23 Update: The most positive recent development for the Blue Devils has been the arrival of Marshall Plumlee; in closely contested games against UNC and Syracuse, Plumlee has averaged 5.5 rebounds and 2 blocks per game in 17.5 minutes, providing the size Duke will need going forward. Unfortunately, Quinn Cook has fallen out of favor and has been replaced by a very limited Tyler Thornton in the starting lineup. Cook's success is as important as anyone's for the Blue Devils, and he must find his own way out of Krzyzewski's doghouse quickly. March 6 Update: Quinn Cook has not had as many as four assists in a game since being taken out of the starting lineup February 4 in Duke's first matchup with Wake Forest. He has been pressing to score, possibly feeling the need to make a quick impression to recover lost playing time. How that is hurting the team has been most obvious in losses to North Carolina and Wake Forest; the Blue Devils, who still rank 6th in the country in assist to turnover ratio largely because of Cook, actually posted more turnovers than assists in those games. Cook must be returned to the starting lineup for the Blue Devils to recover and fulfill their potential. North Carolina sophomore point guard Marcus Paige. Departures: Reggie Bullock (13.9 ppg., 6.5 rpg. ), was a first round pick following a strong junior year. Three year starter Dexter Strickland (7.8 ppg., 4.2 apg. ), a strong slasher and defender, graduated. An in season decision not to allow leading scorer P.J. Hairston's return drastically changes the shape of the team. Outlook: Point guard Marcus Paige struggled with consistency as a freshman, mostly due to the 160 total pounds he carried on his 6-1 frame. For this team to be successful, he needs to become one of the better point guards in the conference, and that will be much more likely with the additional 15 pounds he added in the offseason. He did end last season on a positive note, averaging 11.4 points, 4.8 assists, and shooting 42.8% from three in five ACC and NCAA Tournament games. Leslie McDonald (7.2 ppg.) is the last man standing at shooting guard; a former McDonald's All-American, he has never averaged more than 20 minutes per game due to the team's depth. With little help behind him, his senior season will give him ample opportunity to make an impression. Top 100 recruit Nate Britt will be the only other guard likely to see playing time. He is a true point guard that can hit the three, but at just 6-1, 165 pounds, he strongly resembles Paige as a freshman. J.P. Tokoto will be the other option on the wing. While a great athlete and defender, he was more of a Jackie Manual type without a jump shot as a freshman; an offseason spent working with Hubert Davis could lead to a breakout season. As important as Marcus Paige is to this team's success, James McAdoo (14.4 ppg., 7.3 rpg.) will be its star. McAdoo could have been a first round pick after either of his first two seasons; he should be one of the premiere players in the conference as a junior. With an extra 20 pounds added to his frame, Brice Johnson should have his own breakout season. He averaged an impressive 5.4 points and 3.6 boards in less than 11 minutes per game a year ago, and should to contribute as a shot blocker as well. 6-8 freshman Isaiah Hicks, a top 20 prospect, may be limited offensively, but he should be able to contribute immediately with his instincts and athleticism. Fellow freshman Kennedy Meeks, a top 50 recruit, has the build (6-9, 280 lbs.) and skill set of Sean May, although he isn't quite as mobile. 6-10, 260 pound Joel James, a top 60 recruit a year ago, was raw as a freshman; a year of coaching should see him much further along. While allowing Hairston's return could cause problems for the program, it should make coaching this team and finding success easier for Roy Williams. Still, without Bullock and Strickland, two very efficient offensive players, half court offensive efficiency will likely decline. The team was 30th in the country in steals a season ago; with great frontcourt athletes to run the floor in Hairston, Tokoto, McAdoo, Johnson, and Hicks, defensive pressure and pushing the ball up the floor may be the order of the day for the Tar Heels. November 25 Update: With both P.J. Hairston and Leslie McDonald sitting out games due to suspensions and NCAA investigations, the Tarheels are predictably having difficulty with perimeter shooting. Marcus Paige and Bryce Johnson have stepped up significantly from a season ago, and Kennedy Meeks has been immediately productive inside as a freshman, but it just isn't enough without the team's top two wing players. J.P. Tokoto's shooting has not improved, and his horrendous foul shooting was exposed and exploited in the team's loss to Belmont. A huge surprise win over Louisville means the team will still be in a strong position when Hairston and McDonald return. December 20 Update: Today's decision not to seek Hairston's reinstatement may hurt the team's on court success, but it has to help the integrity of the program. The team has proven that it can win big games without Hairston with victories over Louisville, Michigan St., and Kentucky. While the team lost in Leslie McDonald's return, his presence does help solve the team's lack of perimeter shooting, and it will allow James Michael McAdoo to return to his natural power position after struggling shooting the ball at the 3. The Tar Heels are still very much a contender both in the ACC and nationally. For a January 1 Update, please check out my ACC Midseason Primer. January 22 Update: The Tar Heels have suffered an identity crisis since the return of Leslie McDonald. Prior to his return December 18th, UNC ranked 58th in the country in overall field goal percentage; they have since fallen to 109th due to poor shot selection. McDonald has shot 30.8% from 3 on 5.7 attempts per game since his return. Marcus Paige's three point shooting has also fallen off since McDonald's return; at times it has looked as though those two players have been holding a three point shooting contest, and somehow they're both losing. For North Carolina to return to the threat that saw them win games against Louisville, Michigan St., and Kentucky, the ball will have to find its way back inside the three point arc. February 14 Update: Driven by a return to early season form for Marcus Paige and consistent victories on the boards, UNC has finally settled into a consistent rotation and is experiencing the success expected from the program. Leslie McDonald is still merely keeping defenses honest, but a five game winning streak has the Tar Heels climbing into a comfortable position for an NCAA berth. Departures: Tray Woodall (11.5 ppg., 5.1 apg. ), a highly efficient starting point guard for the past two seasons, graduated. Despite being an inconsistent underachiever in his one year at Pitt, center Steven Adams (7.2 ppg., 6.3 rpg., 2.0 bpg) was still an NBA lottery pick. In what has to be considered a surprise, J.J. Moore (8.0 ppg. ), a supremely athletic, smooth shooting wing, decided to transfer to Rutgers despite being in line to start. Trey Zeigler, a former top 40 recruit that received limited playing time after transferring from Central Michigan, is on the move again, this time to TCU. Power forward Dante Taylor, another underachiever, also graduated. Outlook: Pittsburgh is consistently one of the most efficient offensive teams in college basketball; last year was no acception, as they finished 3rd in the NCAA in assist to turnover ratio. Tray Woodall was an important part of that, but his successor, James Robinson, had a nearly 3 to 1 rate as a freshman. Joining him in the backcourt will be either junior Cameron Wright or freshman Detrick Mostella. Wright isn't much of a shooter, but he is a strong defender. 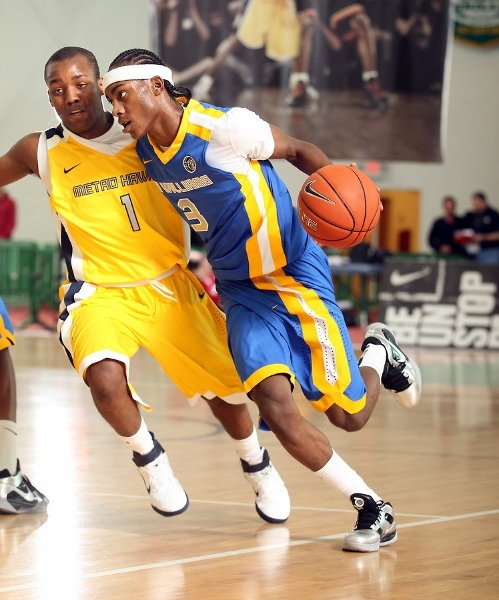 Mostella, a top 90 recruit nationally, is considered a good shooter and one of the quickest players in his class. He will be underweight as a freshman at 6-3, 170 pounds. Senior Lamar Patterson (10.0 ppg., 4.3 rpg.) 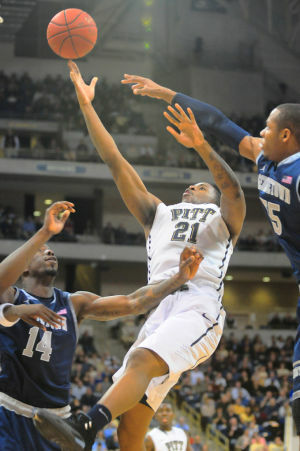 will man the wing; at 6-5, he has spent time at point guard and power forward in his time at Pitt. He's a tough player that can pass and shoot as well. Sophomore Durand Johnson, a smooth shooter with a quick release, will see time at both small forward and shooting guard. After three years of gradual improvement, 6-9 Talib Zanna (9.9 ppg., 6.1 rpg.) will finally be the man in the post. He still isn't a dominant force, but he has come a long way since being a project as a freshman. 6-8 freshman Mike Young, a top 70 recruit that can score inside and out and is physically ready for the college game, will start by his side. 6-11, 260 pound Joseph Uchebo, ranked as one of the top 25 junior college recruits Jucorecruiting.com, will provide rebounding if he has recovered from a knee injury. Adams will be missed primarily on the defensive end; the team was 28th in the country in field goal percentage defense a year ago and is always tough defensively, but will take a step back without his shot blocking and on the ball defense. What is going on at Pitt? It isn't just Moore and Zeigler; DeAndre Kane, a native of Pittsburgh that had an outstanding junior year at point guard for Marshall, was set to sign on as an immediately available transfer. After visiting the school, he backed out. Malcolm Gilbert and Isaiah Epps transferred last year, and Khem Birch stuck around less than ten games the year before. Those are all top 60 recruits at minimum; if they were still around, Pitt might be a favorite to at least make the Final Four. At any rate, there may still be enough talent here for Jamie Dixon to take back to the NCAA Tournament, although the Panthers are still only a year removed from appearing in the third tier CBI Tournament. November 21 Update: Talib Zanna and Lamar Patterson have lead the Panthers to an undefeated start, although they have yet to face strong opposition. January 22 Update: The loss of third leading scorer Durand Johnson will hurt the Panthers at some point, but it was not apparent in an impressive blowout win over Clemson. February 20 Update: The Panthers have suffered through a bit of a reality check versus the top teams in the conference, losing four of their last six. Still, the remainder of Pitt's schedule should allow the Panthers to get their feet back under them before tournament time. March 4 Update: Could there be only 4 ACC teams in the NCAA Tournament? That is now a very real possibility, as a Pittsburgh team that seemed to have a bid sewn up has lost 6 of 10 and likely needs a win at Clemson in their regular season finale to stay on the right side of the bubble. K.J. McDaniels doing what K.J. McDaniels does. You can't get too much K.J. McDaniels - he's now projected as a late first round pick. Departures: The long time low post tandem of Devin Booker (13.1 ppg., 7.5 rpg.) and Milton Jennings (10.2 ppg., 6.4 rpg.) graduated. Bernard Sullivan, a former top 80 recruit nationally that played sparingly, transferred to Charlotte. Outlook: As bad as things are getting at Clemson, there were two pleasant surprises a season ago. K.J. McDaniels (10.9 ppg., 5.0 rpg., 2.1 bpg.) seemingly came out of nowhere as a sophomore to become a difference maker at both ends of the floor. He's an aggressive, explosive leaper with great timing, and he's developing his perimeter skills as well, connecting on a third of his three point shots. 5-11 Jordan Roper came on strong at the end of his freshman season, scoring 11.0 points per game in his last 11 games and shooting 41.4% from behind the arc on the year. 6-7 redshirt freshman Jaron Blossomgame should be ready to contribute this year as well; he was a top 100 recruit a year ago, but missed the season after breaking his leg before reaching campus. He's another explosive leaper, and has an inside game similar to Antawn Jamison at UNC; paired with McDaniels, Clemson will be dangerous on the offensive boards. Recruiting has shown no signs of recovering since Oliver Purnell decided to leave, and now the last of his recruits have graduated. Clemson may have enough talent to win a few non-conference games this season, but ACC victories will be few and far between. If two ACC coaches are going to be replaced following the season, Brad Brownell will be the second. November 21 Update: K.J. McDaniels is playing out of his mind for the Tigers, shooting tremendously well while blocking shots at an astounding rate. An all-conference team is a definite possibility. January 1 Update: 6-11 sophomore Landry Nnoko has provided a strong defensive presence in the post after languishing on the bench as a freshman project. What could allow the Tigers to sneak up on a few teams in the ACC, is Brad Brownell's defense; with McDaniels and Nnoko defending the rim, Clemson is 3rd in the nation in field goal percentage defense. The offense, however, is ugly and limiting, with McDaniels being the only show in town at that end of the floor. February 25 Update: Despite an attractive won-loss record, a weak overall strength of schedule means that the Tigers road loss to Wake Forest effectively ends any chance they may have had for an at large bid in the NCAA Tournament. FSU senior Ian Miller doing what Ian Miller does. Departures: After making several highlight reels with late game clutch shooting during his career, Michael Snaer (14.8 ppg., 4.5 rpg. ), also a shutdown defender, graduated. 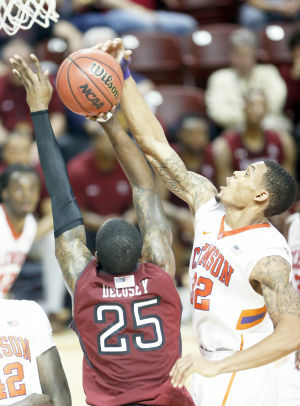 Imposing, athletic post player Terrence Shannon (7.9 ppg., 5.6 rpg.) transferred to VCU after receiving his degree. Shooting guard Terry Whisnant transferred to East Carolina. Freshman Xavier Rathan-Mayes, a top 30 recruit, was ruled academically ineligible. Outlook: Ian Miller, Devon Bookert, and Montay Brandon will see the bulk of the minutes in the backcourt. Bookert did at least have a better than 1 to 1 assist to turnover ratio as a freshman, and earned playing time by hitting 52.5% of his 3's. There is hope that he can be the distributor the team has needed for years. Miller is coming off a junior year that was ruined by a nagging foot injury. Originally a top 50 recruit, he has been an effective, albeit inefficient, scorer at times during his career. Brandon, a top 50 recruit a year ago, will see drastically increased minutes with the loss of Snaer and Rathan-Mayes, and may see time at point guard. Both he and Aaron Thomas, a top 70 recruit a year ago, were not very productive as a freshman, but have the ability to create their own shots and will have ample opportunities to do so this season. 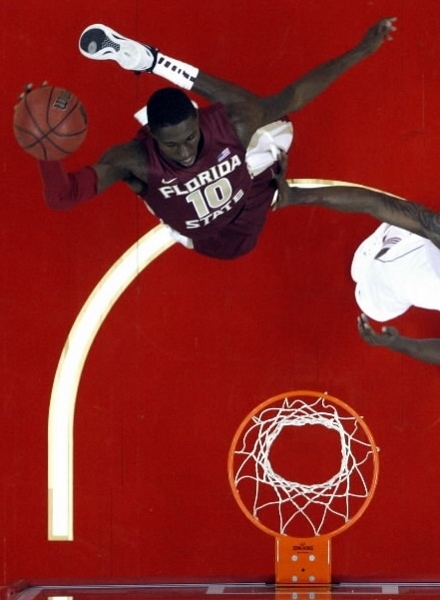 Florida State's best player will be 6-7 senior forward Okaro White (12.4 ppg., 5.9 rpg.). White had a breakout junior season, but appears capable of doing much more; he has the size, athleticism, and skill to be a NBA prospect, but he can't create his own shot. Unfortunately, he would benefit greatly by playing with a great point guard or with a team that passes well, but that isn't going to happen at FSU. Leonard Hamilton has several very large people to choose from in the post, and he may choose to use two of them together at times. 7-0 senior Kiel Turpin is the most polished of the group, and will probably see an increase in the fifteen minutes per game he saw last year. Otherwise, 7-3 sophomore Boris Bojanovsky was dangerously thin as a freshman, but was able to add 15 pounds in the offseason. 7-1, 290 pound sophomore Michael Ojo was incredibly raw but did flash potential as well. 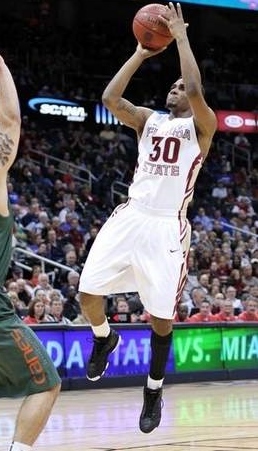 FSU needs them to improve; the team was 273rd in the country in rebounding margin last season. Florida St. has no one resembling a point guard, and, as always, the assist to turnover ratio will be horrible. What it does have is some three point shooters (Miller and Bookert) that will gladly chuck the ball up wildly (with success, in some cases), one potentially great offensive rebounder (White), and several gigantic people that might be able to get their hands on the ball. That isn't really a great recipe for success, but remember that Leonard Hamilton's teams are usually among the best defensive teams in the country (although their field goal percentage defense was actually pretty bad a year ago). They reached the Sweet 16 when Derwin Kitchen sort of had an ok assist to turnover ratio, so anything is possible. November 25 Update: With an impressive blowout victory over a talented and well coached VCU team, the Seminoles have been a pleasant surprise, particularly on the perimeter. Ian Miller is apparently fully recovered from the nagging injuries that slowed him down a year ago, and he is playing the best basketball of his career and is even passing well. Devon Bookert has also delivered as the starting point guard. On the other hand, the sophomore big men have shown little sign of progression, and Okaro White has really been the only productive player in the post. December 9 Update: Following a strong start, Devon Bookert regressed during a stretch where the Seminoles dropped three of four against strong competition. Michael Ojo is starting to rebound and defend, and Boris Bojanovsky is scoring and blocking shots, giving hope that FSU will be able to compete in the paint during ACC play. January 1 Update: No one should benefit from a weak ACC more than the Seminoles. The team's always stifling defense, currently 13th in the country in field goal percentage defense, may appear even more so against so many struggling offenses. This might also be the best offense the Seminoles have put forth in years, as they are currently 29th in the country in offensive field goal percentage. February 14 Update: The Seminoles have fallen into NIT/CBI territory by losing six of eight, including a bad home loss to Miami. Everything has gone wrong at one time or another, including high turnover performances, poor shooting nights, uncharacteristically weak defensive showings, and being absolutely destroyed on the boards by Duke. A win at Wake Forest is a must for the Seminoles, but becoming the sixth ACC team into the NCAA Tournament is seeming less and less likely for FSU. February 20 Update: While the Seminoles are definitely on the outside looking in at the NCAA Tournament field, they do still have a chance. They would likely need to win each of their remaining games, including a home game versus Syracuse, but they will have a chance. Departures: Five of the top six scorers are gone. Juniors Lorenzo Brown (12.4 apg., 4.3 rpg., 7.2 apg., 2.0 spg.) and C.J. Leslie (15.1 ppg., 7.4 rpg.) both declared for the NBA Draft, although Leslie went undrafted and was left to sign as a free agent. Shooting specialist Scott Wood (12.6 ppg.) and bullish power forward Richard Howell (12.7 ppg., 10.9 ppg.) graduated. Finally, Rodney Purvis' (8.3 ppg.) made the somewhat surprising decision to transfer to UConn, which came after receiving confusingly sporadic minutes down the stretch. Outlook: With only two productive players returning, there will obviously be several new pieces to put into place for Mark Gottfried. The most exciting arrival will be freshman point guard Anthony Barber, a lightning quick top 20 prospect and McDonald's All-American. While he isn't a great shooter, Barber will push the ball up the floor, penetrate through traffic, and create for teammates- think of Ty Lawson as a freshman. One of the two returning productive players is fellow point guard Tyler Lewis. While Lewis is clearly more comfortable running the show, Barber's skill set clearly dictates that he have the ball in his hands; when the two are on the floor together, Lewis will have to learn to play without the basketball. His shooting must improve, but his passing skills will still be useful. When the two play together the team should be tremendously efficient and the ball should move exceptionally well. With a few brief exceptions, Lewis wasn't really strong enough to be much of a contributor as a freshman; he will have to add weight to be a consistent contributor. That is a risk for the 165 pound Barber as well, although his speed should allow him to avoid contact more easily. The other option to start beside Barber will be shooting guard Desmond Lee, a top 10 ranked junior college transfer with plenty of scoring ability. 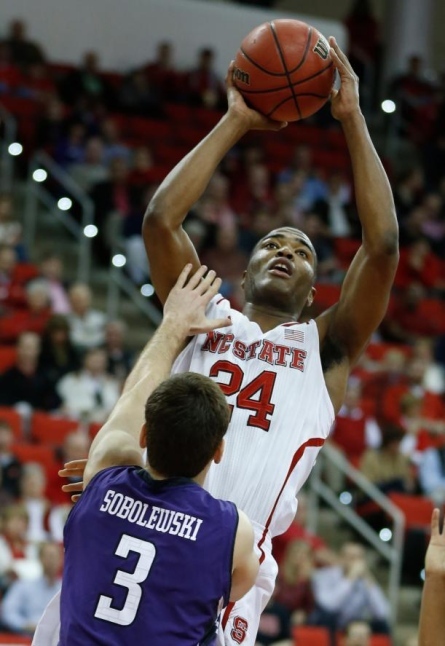 The second star player for NC State will be sophomore T.J. Warren (12.1 ppg., 4.2 rpg.). Warren was remarkably accurate shooting from all over the floor, hitting 51.9% from behind the arc and 62.2% overall. As a result, he is projected as a first round pick in next year's draft. He will once again be asked to spend time at both forward positions. Ralston Turner, a 6-6 transfer from LSU, will provide another accurate shooter on the wing; a former top 70 recruit, he averaged 9.2 points and hit 37.2% of his threes as a sophomore for the Tigers. The Wolfpack will also welcome two well regarded freshmen big men, although it is likely they will experience growing pains before they can be as productive as Leslie and Howell. 6-9, 275 pound center BeeJay Anya, a top 60 recruit, will certainly have the strength to contribute right away; unfortunately, he may have trouble keeping up with teammates that want to push the ball up the floor. 6-9, 215 pound Kyle Washington, a top 100 prospect, won't have any trouble keeping up, but he will need to add weight. Frontcourt depth will again be a major issue with two freshman that are likely to commit their share of fouls while adjusting to the college game, and 7-1 senior Jordan Vandenberg has proven not to be a viable option. This team will be virtually unidentifiable from a year ago. While Mark Gottfried won't have quite as much talent to rebuild as John Calipari, he does have a few quality pieces that will allow NC State to remain competitive and, with Barber and Lewis on the floor together and strong shooters on the wings, be really fun to watch. Defense and rebounding are likely to be the issues that cost the Wolfpack, as two light point guards, one underweight freshman post, another that doesn't run the floor well, and a complete lack of frontcourt depth will create distinct disadvantages. November 21 Update: While Anthony Barbour has been the team's best player at times, the ball has been put in the hands of Tyler Lewis. Transfers Desmond Lee and Ralston Turner have been immediately productive, while unheralded freshman Lennard Freeman has provided some of the inside presence the team so desperately needed. Unfortunately, Kyle Washington has struggled, while Beejay Anya has barely been able to get onto the floor after somehow allowing his weight to swing 50 pounds in the wrong direction. December 9 Update: Anthony Barbour was finally able to take over at point guard for Tyler Lewis, although the unfortunate result is that Lewis is now almost out of the rotation. In what cannot possibly be considered an encouraging development for Wolfpack fans, Jordan Vandenburg now finds himself in the starting lineup next to the tough emerging freshman Freeman. January 22 Update: Despite his athletic limitations, Jordan Vandenburg has been active and aggressive in turning in a surprising senior season. While Lennard Freeman has fallen off against the larger bodies in the ACC, Vandenburg has allowed the Wolfpack to stay somewhat competitive inside. Otherwise, three point shooting is a huge weakness in the wake of Scott Wood's graduation. With Anthony Barber, a strong group of young players that will only get better, and another group of strong additions a year from now, Wolfpack fans have a lot to look forward to- next year. February 25 Update: The Wolfpack are one of two remaining ACC bubble teams. They will likely need to win three of their last four, including a home win versus UNC or a road win versus Pitt, but they will certainly have their chances. For the stretch run, Tyler Lewis has moved back into the starting point guard position. While Anthony Barber is a significantly better scorer and defender, Lewis currently has a much better grasp on how to initiate the offense. March 1 Update: Following a heartbreaking loss to North Carolina, the Wolfpack's chances for an at-large NCAA bid effectively ended with an upset home loss to a Miami team outside of the RPI top 100. Even with the likely departure of T.J. Warren to the NBA, NC State should have a great deal of optimism for next season, and long runs in the ACC and NIT tournaments are still possibilities for the conclusion of this one. Departures: After improving dramatically as a sophomore, Alex Len (11.9 ppg., 7.8 rpg., 2.1 bpg.) was taken 5th overall in the NBA Draft. Senior shooter Logan Aronhalt graduated, and struggling point guard Pe'Shon Howard decided to transfer to USC. Outlook: Howard's departure helps clarify the point guard position for the Terrapins, which will be essential for the team to develop the consistency and offensive efficiency it lacked a season ago. Point guard was a revolving door, and Mark Turgeon went as far as experimenting with wing players Nick Faust and Dez Wells at the position. Sophomore Seth Allen (7.8 ppg.) clearly wasn't ready for the position as a freshman, but he did show enough athleticism, aggression, and scoring ability to get excited about his future. A year of coaching at the position should find him much further along, although a preseason foot injury will keep him out until the beginning of conference play in January. Until then, the only true point guard will be freshman Roddy Peters, a top 50 recruit nationally. Peters is 6-4, a smooth ball handler, and a good shooter, and he did spend his final two years of high school at point guard. Juniors Faust (9.4 ppg.) and Wells (13.1 ppg., 4.9 rpg), both potentially explosive scorers that can create their own shots, should benefit from their time at the point, allowing Maryland to build on its 1 to 1 assist to turnover ratio from a year ago. On the wing, Jake Layman disappeared at times as a freshman, but he flashed the athleticism and shooting ability that made him a top 40 recruit. His length and added bulk should allow him to see time at both forward spots. 6-8, 260 pound sophomore Charles Mitchell (5.4 rpg. In 15.7 minutes) was an immediate force on the boards as a freshman, and increased playing time could find him among the conferences leading rebounders. While 6-9, 265 pound Shaquille Cleare wasn't as active as Mitchell, he is one of the strongest players in college basketball and will also benefit from increased minutes. Defensive rebounding will still be a strength with Mitchell and Cleare – although it should be noted that both were foul prone as freshmen. Both players lost weight over the summer, which should help them move their feet defensively. If anyone is going to replace Len's shot blocking, it could be 6-9 freshman Damonte Dodd, although it is likely the team will take a step back in that area. Maryland also adds Michigan transfer Evan Smotrycz, a stretch 4 that hit 43.5% of his threes as a freshman at Michigan. Mark Turgeon's third year at Maryland should find the Terrapins back in the NCAA Tournament. The team will be among the most athletic in the country on the perimeter, and no one will push around Mitchell and Cleare in the post. The Terrapins were 11th in the country in field goal percentage defense and 5th in rebounding margin a year ago; those trends should continue. More importantly, scoring shouldn't be the struggle it was a year ago. Adding Smotrycz and Peters should increase spacing and improve shooting percentages, and a year of experience for what was a very young team should increase offensive efficiency. 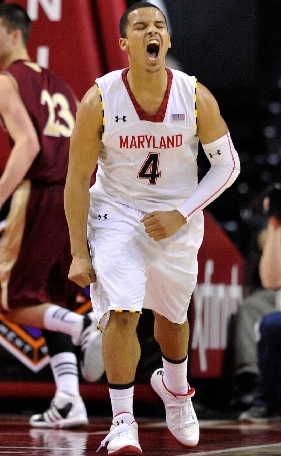 November 21 Update: The Terrapins have struggled without point guard Seth Allen to start the season. Optimistically, Roddy Peters did seem to begin to find his way against Oregon St., finishing with ten points and six assists to just two turnovers; he has to be the point guard if Maryland is going to have success without Allen. Shaquille Cleare is struggling mightily, and seems to have actually regressed, while Jake Layman has become one of the team's stars. January 22 Update: While the team has a great deal of talent and the return of Seth Allen should help, poor shot selection and consequent horrible shooting percentages are relegating the Terrapins to also rans in the ACC. Departures: Explosive point guard Shane Larkin (14.5 ppg., 3.8 rpg., 4.6 apg., 2.0 spg.) was a first round draft pick after being named a third team All-American as a sophomore. 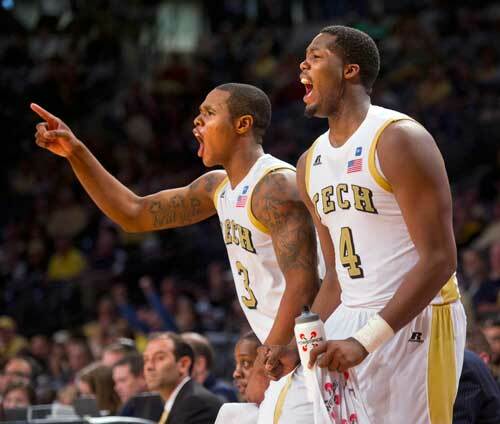 Every other starter, as well as the team's sixth man, graduated, including Durand Scott (13.1 ppg., 4.0 rpg. ), Trey McKinney Jones (9.2 ppg. ), Reggie Johnson (6.7 ppg., 7.0 rpg. ), Kenny Kadji (12.9 ppg., 6.8 rpg. ), and Julian Gamble (6.5 ppg. 4.9 rpg). Freshman Deandre Burnett was lost for the season to a wrist injury. Outlook: Again, a team that loses its top six players and isn't Kentucky should expect to take a year or two to rebuild. Any hopes for a quick recovery were dashed for the Hurricanes when Kansas State transfer Angel Rodriguez decided not to seek immediate eligibility. Without him, point guard will most likely fall to Manu Lecomte, a 5-9 true point guard from Belgium. Lecomte, noted as a crafty scorer, was the star of the 20 and under Belgium national team, averaging 21.6 points and 6.6 assists in the European Championships. He will be joined in the backcourt by senior Rion Brown, the top returning player from a year ago who has been a remarkably streaky shooter to this point in his career. Small forward will probably belong to senior Garrius Adams, who redshirted a year ago due to a knee injury. Originally a top 100 recruit, Adams has always had potential but never actually produced, and he really hasn't been healthy since 2011. The most intriguing player at Miami will be 6-11 sophomore Tonye Jekiri. Jekiri flashed all kinds of potential in limited minutes behind three seniors a year ago. He will rebound and block shots, and it will be interesting to see how much he can provide as a post scorer. He is likely to be joined by transfer Donnavan Kirk at power forward. Kirk was originally a top 100 recruit who played just over one season at Miami for Frank Haith before transferring to DePaul; he is returning as an immediately eligible graduate. He has never been very successful on the court, although he did start to develop as a stretch four last season. Another option will be transfer James Kelly, ranked number 22 among junior college players. Kelly is likely the most polished post scorer in the group. Senior Erik Swoope has at least provided energy and surprising mobility in his limited opportunities over the years. Without Rodriguez, point guard is a big question mark for Miami; if Jim Larranaga is going to make miracles happen, they will likely have to come through the freshman Lecomte. It is hard to expect more than a few wins in what will almost certainly be a rebuilding year, but recovery should be just a year away for the Hurricanes with the impending arrivals of Rodriguez, Burnett, and Texas transfer Shelden McClellan, as well as the continued development of Tonye Jekiri. November 21 Update: The biggest surprise in Miami is that Tonye Jekiri is in fact not ready for major minutes, leaving Donovan Kirk and James Kelly as the only productive post players available to Jim Larranaga. Manu Lecomte is proving that his is not the answer at point guard, and Miami's season could be even more bleak than originally thought. January 22 Update: As should have probably been expected, Jim Larranaga has managed his assembly of completely new parts into a reasonably competitive bunch. After a slow start, Manu Lecomte has begun to adjust to American basketball. 6-6 freshman guard Davon Reed has established himself as a possible future star, while Tonye Jekiri is slowly improving. While a postseason appearance above the CBI still seems unlikely, the season is not turning out to be a complete loss for the Hurricanes. Departures: C.J. Harris (15.3 ppg. ), Wake's leading scorer and one of the best 3 point shooters in the conference, graduated. The second best shooter on the team, Chase Fischer, transferred to BYU. Outlook: Codi Miller-McIntyre (8.1 ppg.) was thrown into the fire at point guard a year ago due to the massive number of defections. He struggled, but might be better because of it. He is still the only show in town. He will receive some veteran help in lieu of Harris' departure; Coron Williams, a senior transfer from Robert Morris, has been a high percentage three point shooter his entire career. Arnaud Moto was a top 60 recruit a year ago, but was also forced onto the court before he was ready. He's a tough and athletic defender; a year of coaching should find him much further along offensively. Senior Travis McKie ( 13.5 ppg., 7.0 rpg.) has been forced to play out of position his entire collegiate career. He's been one of the team's best players each year, but he might have received more attention if he had ever been given the chance to develop his perimeter skills. If the team has a star, it's Devin Thomas; he was a dominating rebounder and shot blocker at times as a freshman, finishing strong to end the season averaging 9.1 points, 7.5 rebounds, and 1.4 blocks per game. Wake Forest's young nucleus does have some potential. What it does not have is a coach that has ever been successful at a major college program (Air Force doesn't really qualify). As a result, the young Deacons can't really expect to enjoy much of a home court advantage; most of the fans can't stand Jeff Bzdelik, and may very well start to boo as soon as the team gets behind. Why that situation was allowed to continue through this season is a mystery, but it most definitely is not in the best interest of a very young basketball team. November 21 Update: Codi Miller-McIntyre has shown resilience following a discouraging freshman year, and is beginning to live up to the potential he displayed in high school, albeit against inferior competition. Moving Tyler Cavanaugh into the starting power forward spot has finally allowed Travis McKie to spend at least some time at his natural position on the wing. January 1 Update: Thanks largely to Devin Thomas's dominance inside, the Deacons are 41st in field goal percentage defense and 28th in rebounding margin. They should be competitive outside of the top six teams in the league, but it probably will not be enough to save Bzdelik. Departures: Mfon Udofia graduated after four disappointing seasons. Following two seasons of limited opportunities at Georgia Tech, Brandon Reed decided to transfer back to Arkansas St. where he starred as a freshman. Julian Royal, a former top 100 recruit that also received little playing time, transferred to George Mason. Outlook: Georgia Tech's outlook improved significantly with the NCAA's late decision to accept a hardship waiver allowing Tennessee transfer Trae Golden immediate eligibility. While Golden is coming off a horrific junior year shooting the basketball, he had previously shown himself to be an efficient scorer. More importantly, his 2 to 1 assist to turnover ratio would represent a substantial improvement over what Georgia Tech point guards have produced recently; the last time a Yellow Jacket was even close to that level of efficiency was Jarrett Jack in 2003-2004, and that was the year the team lost in the NCAA Championship game (of course, that was with the previous coach). Marcus Georges-Hunt (10.8 ppg., 4.9 rpg.) led the Yellow Jackets in scoring as a freshman; if Georgia Tech is going to do anything in the ACC, he has to improve as a sophomore. Shooting guard Chris Bolden was inconsistent as a freshman, but he did put together enough good games to warrant more chances. The same can be said about Jason Morris' entire career; he is now a senior. Like Georges-Hunt, power forward Robert Carter (9.9 ppg., 6.7 rpg.) had a strong freshman year with plenty of potential; he may need to shoot fewer threes, but his development is the other potential bright spot for Georgia Tech. He has shed a great deal of the extra weight he carried as a freshman, and the improved conditioning should help him take a step forward. Senior center Daniel Miller (8.4 ppg, 6.6 rpg., 2.1 bpg.) isn't flashy, but he does provide consistent rebounding and shot blocking, while fellow senior Kammeon Holsey (8.8 ppg., 4.7 rpg.) is an athletic and energetic reserve. While this team has talent and will defend, an NCAA Tournament appearance any time in the near future still seems like an unlikely scenario for Brian Gregory's squad. There are still seven players on the roster who were top 100 recruits; if you include Mfon Udofia, who graduated last season, none of them have really shown much improvement after their freshman years. While Paul Hewitt's tenure was inconsistent, his years as coach are quickly becoming the good old days for Georgia Tech. November 21 Update: While the Yellow Jackets have shown up tremendously well on the boards with six players averaging over six per game, offense has been a problem. Trae Golden has played well, but none of the returning players appears to have improved significantly during the offseason. If anything, Robert Carter is having less success than he did a season ago. February 1 Update: The loss of Jason Morris for the season and the now unlikely return of Robert Carter Jr. from a torn meniscus means rapidly falling expectations for the Yellow Jackets. With the impending graduation of this season's stars Daniel Miller and Trae Golden as well as Kameon Holsey and Morris, and with only one notable incoming recruit coming in, Brian Gregory has to be concerned about his future in Georgia Tech. February 14 Update: The long awaited return of Robert Carter Jr. means that the Yellow Jackets can once again dominate on the boards, although a short term groin injury to Trae Golden does make scoring difficult for the time being. Once he is back, Georgia Tech should finish strong in the ACC and may be able to qualify for postseason play. Departures: Jack Cooley (13.1 ppg., 10.1 rpg. ), a two time all Big East player, graduated. Scott Martin's (7.9 ppg., 5.9 ppg.) long college career ended with a midseason knee injury a year ago. Outlook: Notre Dame returns a backcourt with two senior guards, Eric Atkins (11.2 ppg., 5.5 apg) and Jerian Grant (13.3 ppg., 5.5 apg), that averaged 5.5 assists per game a season ago. Most teams don't have one player that can say that, much less two, and the result was the second best assist to turnover ratio in college basketball. The Irish could somehow be even more efficient this season, as Atkins and Grant will be joined by McDonald's All-American and top 25 recruit Demetrius Jackson, a true point guard that is among the most highly regarded players ever to sign with Notre Dame. Junior Pat Connaughton (8.9 ppg., 4.7 apg) will start at small forward, as Cameron Biedscheid, a top 40 recruit a year ago, will redshirt to add some much needed strength. Notre Dame does add V.J. Beachem, a 6-6 wing and top 70 recruit nationally with a reputation as a big time shooter. All five of these players are dangerous three point shooters, so floor spacing shouldn't be a problem for the Irish. After receiving inconsistent minutes in his first year as a transfer from Michigan St., 6-10, 246 pound Garrick Sherman (7.0 ppg., 3.4 rpg.) will be Notre Dame's most likely low post threat. 6-10, 253 pound senior center Tom Knight and 6-10, 230 pound sophomore Zach Auguste barely saw the floor prior to Scott Martin's knee injury a year ago, but played well enough down the stretch to warrant optimism for what they can provide this season. Knight averaged 8.1 points, 4.9 rebounds, and 1.3 blocks after the increased playing time, and August provided 4.1 points and 3.6 boards. Realistically, no one will be able to replace Cooley's toughness and rebounding inside, so the Irish will likely take a step back rebounding the basketball. With five perimeter players that can reasonably expect playing time, don't be surprised to see Notre Dame play small on occasion (which is essentially what they were doing with Scott Martin playing power forward). Notre Dame will be one of the most efficient and best shooting offenses in college basketball. While rebounding and ending defensive possessions will be an issue at times, the first year for Mike Brey and the Irish in the ACC could be surprisingly successful for a traditional football school. December 9 Update: After experimenting with bigger lineups early on, Notre Dame has returned to its strength by playing smaller lineups. Garrick Sherman is providing more offense that Jack Cooley did a season ago, although he doesn't have the motor to provide Cooley's rebounding. December 23 Update: The loss of Jerian Grant, the team's leader in scoring and assists, is crippling to the chances of the Irish. Demetrius Jackson is not ready to be a star, and the team could struggle as conference play begins. January 22 Update: Eric Atkins is making his own case for all conference honors since Jerian Grant's injury. With Pat Connaughton emerging as an undersized monster on the boards and Garrick Sherman providing a better Jack Cooley impression than anyone could have hoped, Mike Brey is making miracles happen and the only real question may be which postseason tournament the Irish find themselves in. Boston College's muscle, junior Ryan Anderson. He's 6-9, 216 pounds. Departures: Senior transfer Andrew Van Nest graduated. 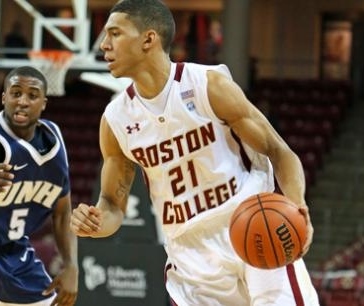 Outlook: The most pleasant surprise in the ACC last year may have been the play of BC's freshman backcourt, Olivier Hanlan (15.4 ppg., 39.4% 3pt.) and Joe Rahon (10.1 ppg., 34.8% 3pt.). Both players were tough defenders, strong with the basketball, and shot well. With even modest improvement, they will be able to match up with anyone. 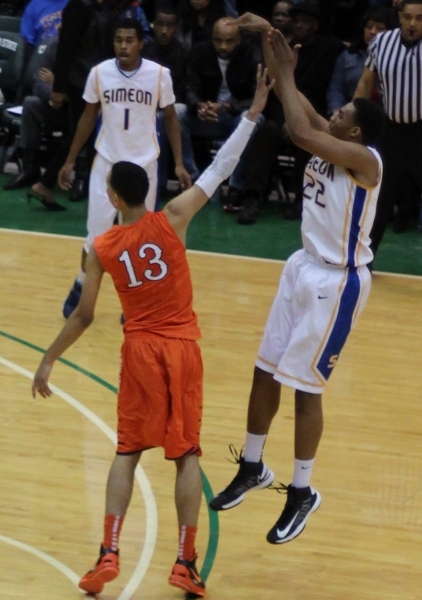 The team's third guard, junior Lonnie Jackson (8.7 ppg., 38.2% 3 pt. ), is another strong shooter. On the wing, junior Patrick Heckmann (8.0, 37.5% 3pt.) is a wiry, pesky, energetic, and athletic player who, again, is strong from the 3 point line. BC also welcomes Notre Dame transfer Alex Dragicevich, a 6-8 guard who averaged 20 minutes a game and shot reasonably well (34.2% 3pt.) as a freshman. Prior to last season, junior power forward Ryan Anderson (14.9 ppg., 8.0 rpg.) was clearly the best player on the team; now, with more talent around him and the team likely to experience more success, he should gain the attention he's been missing. He could have played for any team in the conference, even as a freshman. Things will be much easier for Anderson if 7-0 junior center Dennis Clifford can stay healthy, although that is beginning to seem less and less likely. After a promising freshman year, Clifford was hampered by injuries all of last year, and problems with his knee have already carried over into this one. Due in part to those injuries, 6-7 junior Eddie Odio emerged as an energetic and athletic difference maker in the frontcourt despite weighing just over 200 pounds. Over the last 15 games, Odio averaged 6.3 points, 4.9 rebounds, and 1.2 blocks, a fairly remarkable feat at his size. When your entire rotation is made up of freshmen and sophomores and everyone sticks around, things are bound to be looking up. Still, the team has plenty of room for improvement defensively, finishing last season 216th in rebound margin and 276th in field goal percentage defense. That is at least partially because Hanlan, Jackson, Heckmann, Anderson, and Odio were all noticeably thin a year ago and needed to add significant weight; that didn't really happen, and a return to the NCAA Tournament for the first time since Al Skinner's (still questionable) dismissal will be difficult unless Clifford experiences a remarkable recovery. November 21 Update: BC's juniors failed to bulk up during the offseason, and if anything they have regressed defensively and on the boards. The Eagles have been outrebounded in every game, and were absolutely demolished in that area by both UMass and Providence. Dennis Clifford may not ever be healthy enough to give the team the big man it needs. A strong ACC showing building on last year's surprising success is beginning to seem impossible. January 1 Update: Boston College has easily been the biggest disappointment in the ACC. Dennis Clifford is now done for the year, and what remains is one of the lightest teams in the country. Defense and rebounding will continue to suffer as a result (they are currently 291 in the country in field goal percentage defense). Departures: Erick Green (25.0 ppg., 4.0 rpg., 3.8 apg. ), the nation's leading scorer and lone bright spot for the Hokies a season ago, graduated and was taken in the second round of the NBA Draft. After a disappointing sophomore season, Robert Brown (8.3 ppg.) transferred to UAB, adding another key player to the mass exodus that followed the questionable and poorly timed firing of Seth Greenberg. One time highly regarded point guard prospect Marquis Rankin also decided to transfer. Outlook: Erick Green had an amazing senior season; he also had the ball in his hands all the time, and took a very large percentage of the team's shots. There is a reason why the nation's leading scorers are very rarely on championship teams; scoring isn't balanced, and the other players don't get involved. While a big step forward for this team is unlikely, it is very possible that Green's departure will result in improved play from some of his teammates. Green will likely be replaced at point guard by Adam Smith, a transfer from UNCW that averaged 13.7 points per game as a freshman two years ago. Senior Jarell Eddie (12.3 ppg., 5.6 rpg.) 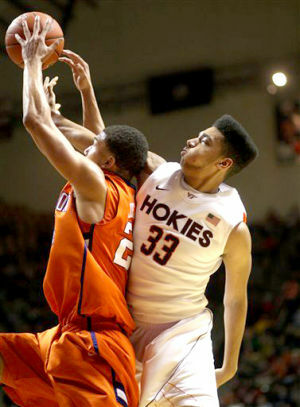 is the team's top returning scorer, but his percentages will need to improve for the Hokies to have any kind of success. Sophomore Marshall Wood will benefit from additional touches; he's a tough defender that can help on the boards, but he has shown himself to be a much better shooter in practice. Cadarian Raines finally had a healthy season as a junior, and he didn't disappoint as a presence on the inside. He won't be a big scorer, but he will provide rebounding and physical defense. Junior C.J. Barksdale, a top 60 recruit coming out of high school, came on late in the season, averaging 14.3 points and 8.0 rebounds during a four game stretch. With Brown's decision to transfer, the hits just keep coming for Virginia Tech coach James Johnson. There are still enough of Greenberg's recruits around to win a few games, but imagine this team with Montrezl Harrell, Dorian Finney-Smith, and a confident Robert Brown. In Johnson's first season, the Hokies dropped from 145th to 252nd in Division I in assist to turnover ratio and from 102nd to 212th in field goal percentage defense. Meanwhile, Seth Greenberg is the highlight of ESPN's in-studio college basketball coverage; he's charming, charismatic, and knowledgeable, and I feel certain everyone watching would love to play for that guy. November 21 Update: Unexpected contributions from 6-5 freshman guard Ben Emelogu has provided hope that what appeared to be a weak recruiting class will in fact be a step in the right direction for James Johnson. January 22 Update: Short term injuries to Adam Smith and Ben Emelogu left the ball in the hands of freshman point guard Devin Wilson, and he has more than taken advantage of the opportunity, likely taking over the position by averaging 20 points per game over the last three contests. With Wilson and Emelogu, the Hokies suddenly have a strong backcourt to look forward to over then next few years. Note: This hub will be continually updated throughout the season. I like the detail and overall information. UVA does seem pretty high especially considering the loss today to Wisconsin Green Bay. Given Green Bay is predicted to win the Horizon and it was at Green Bay, but still a bad loss for a higher tier ACC team. Also the reason Bzdelik is still at Wake is because the AD Ron Wellman is a good personal friend, but if Wake doesn't pull a good football head coach (the 13 year coach Jim Grobe resigned) then Wellman may be fired along with Bzdelik. Wake has also played pretty well so far this season, probably better than 13th in the ACC against weak schedule, but beat Richmond (RPI 62 at the time). Syracuse is ranked 6th primarily because of a freshman point guard and a shooting guard that has been less than impressive, which should negatively affect the team at both ends of the court. Ennis and Cooney (or Gbinje) can't possibly be expected to be as effective as Carter-Williams (a lottery pick) and Triche (a four year starter) right away. Why is Syracuse so low? They are the 2nd best team in the conference and have the possible player of the year in CJ Fair there is no reason you have them at 6th, 6th! Great analysis. Agree on NC. In fact, I think the Tar Heels may go into a mini decline for a year or two, which may result in Roy Williams departure or retirement. I just feel he's done. Duke will stay competitive. The one team over the past two years I thought would really rise to prominence was Fla State. They were there for a little bit, but missed. As you said, Hamilton's teams play great D. That usually keeps you ranked, but getting talent is a struggle. As far as the new teams, not sure how they will do. Syracuse will play well. I think Pitt is will face the music and Jamie Dixon will finally go. I'll be looking for your update. Voted up.